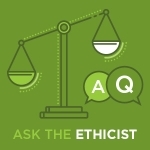 Apra : Blogs : Ask the Ethicist: Can I Use Leaked Information? Ask the Ethicist: Can I Use Leaked Information? An individual visited campus last week with one of our alumni and then, quite unexpectedly, announced that he would like to make a $10M gift to the school’s aquatics center. The athletic director has asked me to do some research on the individual, but all I can find out about his career is that he is a professional wakeboarder. What do you think about me diving into the ICIJ database to try to find out more about this individual’s wealth? During the past five years, the Panama Papers, Paradise Papers and other leaks have provided confidential financial documents of wealthy individuals from around the world. The International Consortium of Investigative Journalists (ICIJ) collected these documents into an easily searchable database. While the information in this database might provide insight on the wealth of the professional wakeboarder, it is the Apra standard that only public sources of information be used in the course of prospect research. And, although the leaked documents are now technically public, they were not intended to be. On this basis alone, I would recommend that you not use the ICIJ database to research your prospects. Additionally, the potential of damaging a donor relationship by using information from the ICIJ database, which the donor is likely unhappy about being public, is greater than any potential payoff for the information obtained. Bottom line: Information that is not intended to be public (e.g., leaked documents) are not considered to be ethical resources for prospect research. I suggest you also check with your organization’s legal counsel to understand their risk tolerance on the issue and get their guidance.